Ideal for honeymoons or entertaining, enjoy a separate parlor with fully stocked wet bar and dining table. 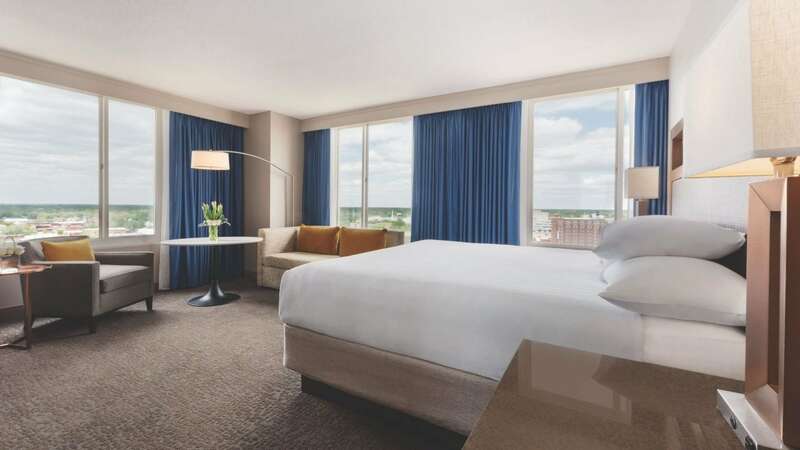 Every pampering amenity is yours including an oversized tub, double sinks, KenetMD™ bath amenities, wireless Internet access and one king-sized Hyatt Grand Bed® with ultra-plush pillows, the softest sheeting and thick down blankets. This is a premium suite. See World of Hyatt program terms for upgrade eligibility. 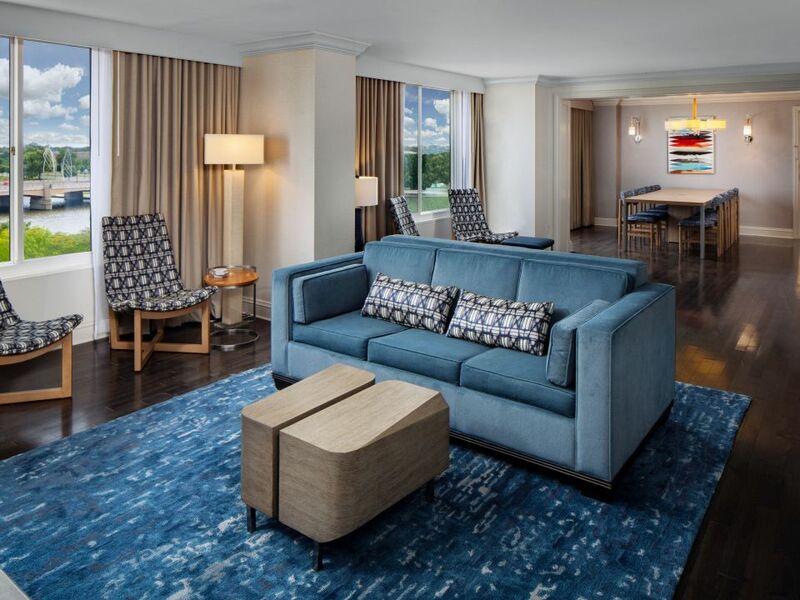 Enjoy the luxurious and sophisticated Presidential Suite. 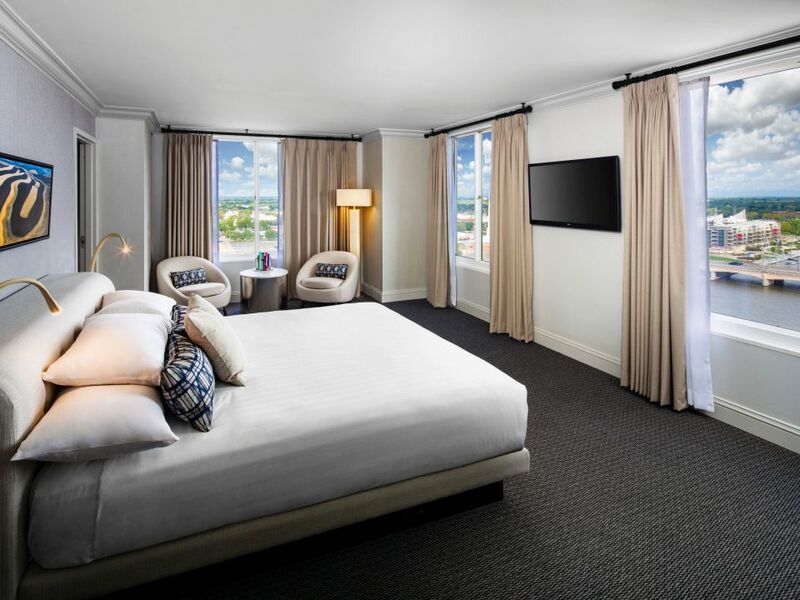 With its upscale style and warm hospitality, this suite features comfort and class. Its executive workspace features two separate seating areas with flat-screen TVs, making it perfect for the work or to relax. This is a premium suite. See World of Hyatt program terms for upgrade eligibility. 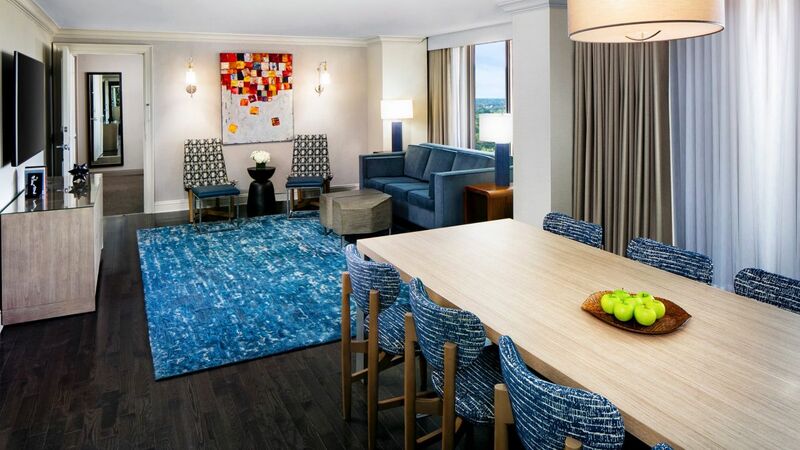 Contemporary décor and modern amenities welcome guests to this 572 square-foot suite. Entertain lavishly in this one bedroom suite furnished with sofa, large desk, and entertainment center with TV. 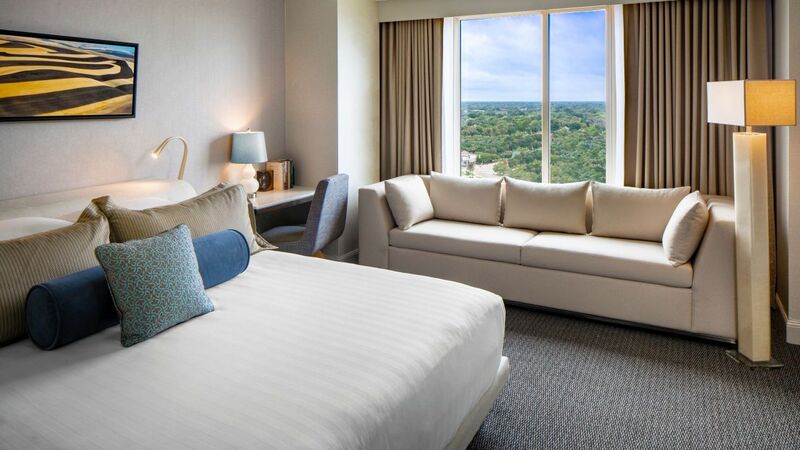 Slumber blissfully in the adjoining room featuring our signature king-sized Hyatt Grand Bed®. Expand the space by choosing the additional connecting guest room with king bed (fee applies). 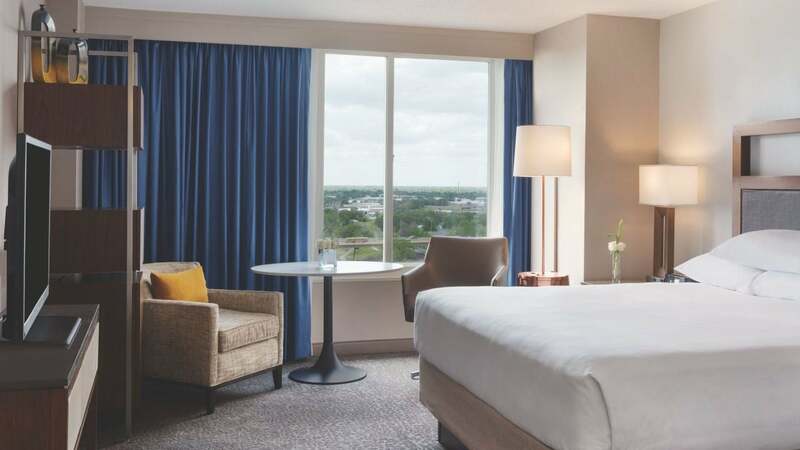 Please hotel at 1 316 293 1234 for assistance in booking a connecting room with your suite. This is a standard suite. See World of Hyatt program terms for upgrade eligibility. Relax in the contemporary style of our 312-square foot king guestroom guest room surrounded by neutral palette that creates an open, airy atmosphere. 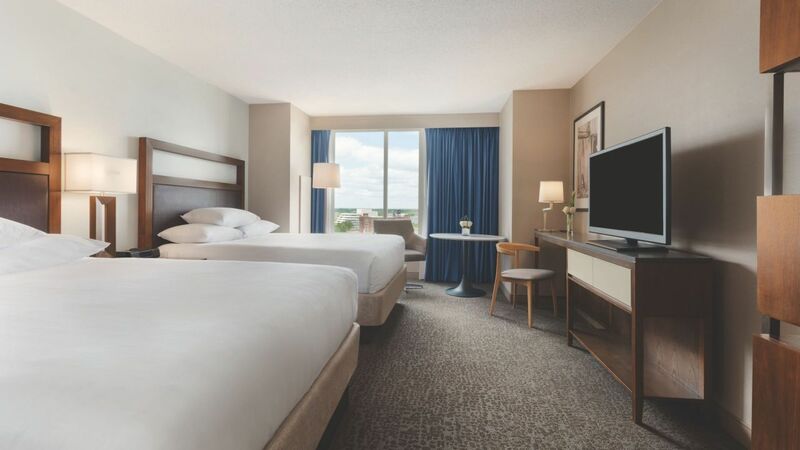 Relax in the contemporary style of our 312-square foot 2 Queen Beds guestroom surrounded by neutral palette that creates an open, airy atmosphere. Wake up to a gorgeous view of the Arkansas River. Contemporary style of our 312-square foot 2 Queen Beds guestroom surrounded by neutral palette that creates an open, airy atmosphere. Wake up to a gorgeous view of the Arkansas River. Contemporary style of our 312-square foot 1 King Beds guestroom surrounded by neutral palette that creates an open, airy atmosphere. Relax in the contemporary style of our 309-square foot king guestroom surrounded by neutral palette that creates an open, air atmosphere. For additional sleeping accommodation this room offers a pull-out sofa.